Seemingly (without defaulting to Excel) we STILL can't generate in P6 Early and Late cumulative progress curves which form a natural continuum (at the data date) from the cumulate Actual progress curve ! You replied - Thanks Rafael - we don't have these report generators..... are they options in P6 or an external package ? These are options on other software, among them old P3 software, I expect similar options to be available in P6 as these reports have been required for decades. If your software cannot generate with ease such S-Curves as it should you might try external packages sych as Project Tracker. 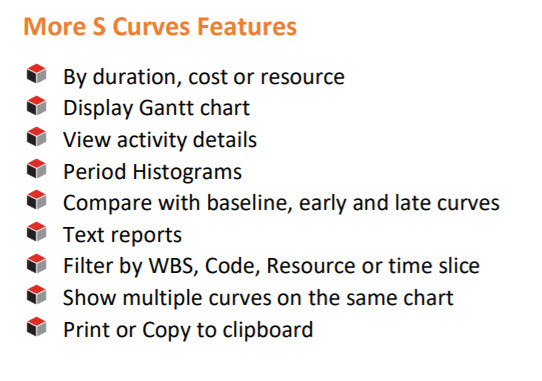 Based on what their brochure says I would expect Current and Baseline Early and Late S curves be available. 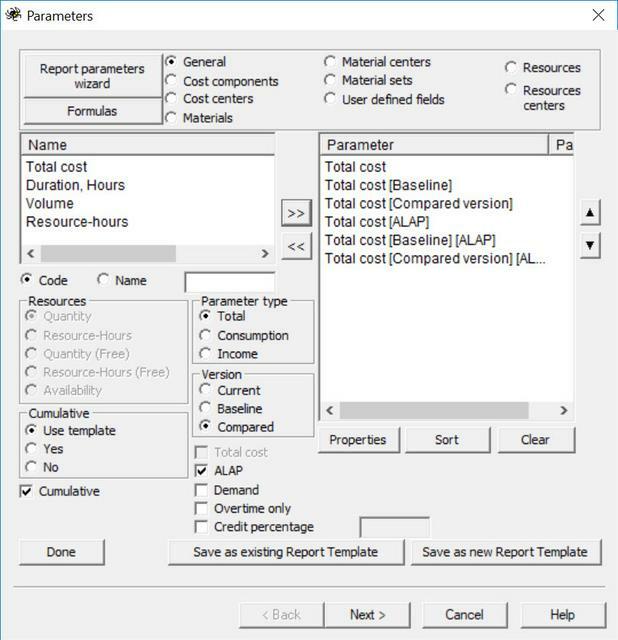 Thanks Rafael - we don't have these report generators..... are they options in P6 or an external package ? This is how ancient P3 would give you the Early and Late Cumulative "S" Curves for current plus two target/baselines. This is how Spider Project would give you the S Early and Late Curves for current plus two baselines named baseline and compared schedules. I do not use P6 but it shall be as easy as 1,2,3, so easy, no big deal. Where do you source the Baseline Early and Late from please ?? As soon as there is progress and the DD is moved then for current updated schedule actual Early and actual Late S Curves will overlap to the left of DD giving you the impression it is a single line. Then after the current DD they will separate showing current plan early and late cumulative S Curves. 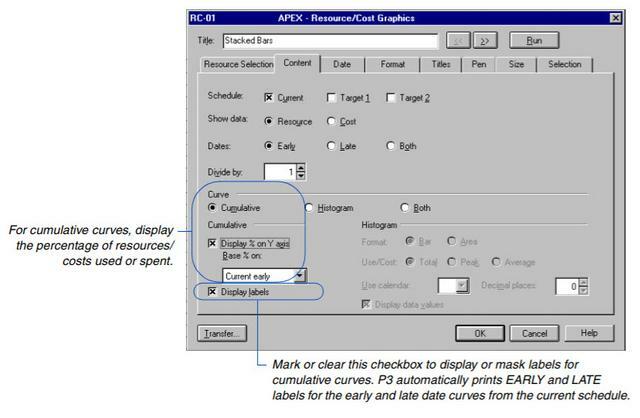 Try setting your diagram to show both Early and Late cumulative S Curves and nothing else. If you select to display remaining S Curves, only remaining values at DD will be considered and it will be 0 at DD. It will not accumulate whatever is at the left of the DD. Try setting your diagram to show both Early Remaining and Late Remaining cumulative S Curves and nothing else. You can add to the diagram the original plan Early and Late S curves. Now try showing all at the same time. To obtain the required curve, Actual Values shall equate with Earned Values and the Remaining Values shall be the difference between At Completion and Actual Values. Schedule is resourced with labour units and their costs. Yes - that's what I want them it to do (but the remaining curves start from zero again at the data date). Early Remaining or Late Remaining Curves shall originate from the End of the Actual Values at Data Date. The Curve shall be Continues until At Completion Values. progress based on what dollars, manhours or units ? What is your measuing stick ?